John Cassel, was born in Johannesburg, South Africa in 1921. He received an MD from the University of Witwatersrand. He joined the new Institute of Family and Community Health at the University of Natal, in Durban. His early work on the health of a Zulu population taught him the importance of cultural forces in the determination of disease etiology and health care delivery. 1953 he left South Africa to obtain further training in public health at UNC. His belief in the importance of the social environment as a determinant of the distribution of health in populations was greatly influenced in his experience in the practice of medicine in South Africa, proved both innovative and controversial in the United States at that time. 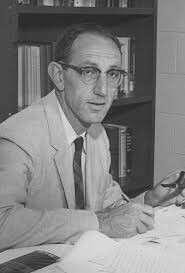 In 1958, when he became chairman of a fledgling Department of Epidemiology at the University of North Carolina School of Public Health, he began to include health-relevant psychological, social and cultural variables in the conceptual scheme for teaching and research in epidemiology. He attracted behavioral and social scientists to join his faculty, along with physician-, dentist- and nurse-epidemiologists. The teaching program in epidemiology began to include such subjects as culture and health, family health, epidemiologic foundations for community diagnosis, social determinants of health behavior, and research into the delivery and evaluation of health services. North Carolina became a laboratory for a broad range of epidemiologic studies on the transition of populations from rural to urban industrial. He was an early believer in holistic or integrative epidemiology drawing upon many disciplines to address public health issues. He was resolute in his stands for social justice in both South Africa and the United States. He truly exemplified modern social epidemiology of his time and our time.